Users can study an introduction to hydrologic techniques, questions, and processes. 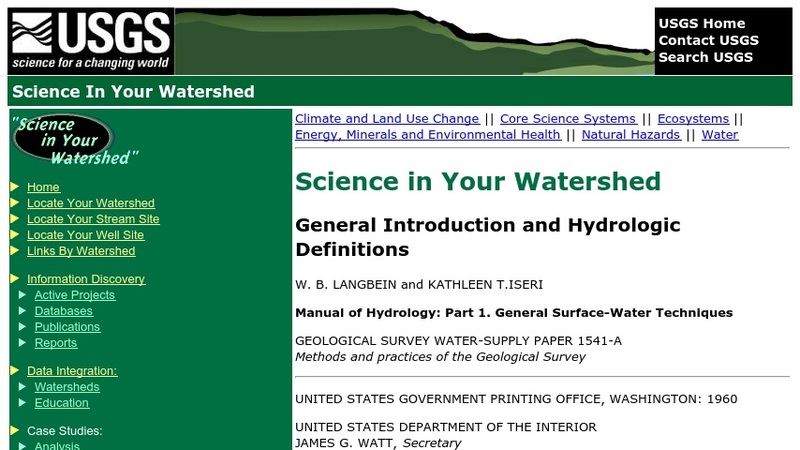 An extensive glossary of terms from the entire field of surface-water hydrology is included. References and a list of links to specific topics are also included.